The 2017 Scholarship Awards Luncheon will be held on Wednesday, May 10, 2017 from 11:30 am – 1:30 pm at the Ventura Beach Marriott Hotel. Invite family, friends and anyone you’d like to introduce to SoroptimistVentura. Our awards event is enjoyable and very inspirational. Lunch will be served in a lovely setting followed by a program that honors our Live Your Dream and Violet Richardson scholarship award winners. We will draw the three winning raffle tickets for our beautiful trademark Mother’s Day baskets, worth hundreds of dollars in value — a Spa & Travel basket, a Wine & Chocolate basket, and a Gourmet Food & Snack basket. The raffle tickets will be $5 each or 5 for $20 (need not be present to win). $35 members and guests; additional fee for late reservation — $5. RSVP by May 3, along with choice of entree and any special diet requests. Entree choices are Pacifico house salad with chicken, green apples, tomatoes, gorgonzola cheese, sugar glazed pecans or chicken salad croissant sandwich with pasta salad. Checks must arrive by Monday, May 8. Don’t Miss the Pasta Dinner Mixer on Wednesday, March 29 at 6:00 p.m. Bring yourself, bring a friend and something to drink to Vega’s house located at 2953 Seahorse Ave., Ventura!!! We hope to see you there. In the fall of 2015, after much thought and consideration, the Soroptimist Club of Ventura (SI Ventura) decided to commit funds to donate quality stethoscopes to nursing students at Ventura College. Stethoscopes are an important, necessary and expensive part of a nurse’s arsenal of equipment. Since that first fall semester in 2015, SI Ventura has handed out more than 30 stethoscopes, engraved with the Soroptimist logo, to Ventura College students. SI Ventura is confident that the recipients are off to a good start in their nursing education and will be able to use the stethoscopes throughout their nursing careers. On Wednesday, February 8 a group of Soroptimist club members met the newest recipients of the stethoscopes, and were delighted to hear from the women and men themselves about what a valuable addition the donation has made to their education. Many of the students are returning to school and are on a very tight budget. They expressed such gratitude at having this necessary, high quality item provided for them by the Soroptimist Club of Ventura. Soroptimist is a national and international service club for business and professional women with a focus on improving the lives of women and girls through programs leading to social and economic empowerment. For more information about Soroptimist and the Ventura Club please visit their web site at www.soroptimistventura.org or contact Sandra Masiel at 805-278-3607. Soroptimist International of Ventura joins with Oxnard, Camarillo, Fillmore, The Conejo, Santa Barbara and Simi Valley SI clubs to present the Stop Human Trafficking and Sexual Slavery Annual Event on March 8, 2017 at the St. Paul’s Episcopal Church, 3290 Loma Vista Rd., Ventura. This event includes an Community Walk at 5:30 p.m. followed by a Speakers Forum of experts at 6:30 p.m.
Soroptimist International of Ventura, California, a local service club for business and professional women with the goal of making a difference in the lives of women and girls, announces that applications are now available for two scholarships. Women who serve as the primary wage earners for their families and seek assistance to go back to school or receive special training can apply for the Live your Dream Award (Formerly the Women’s Opportunity Award) to help them improve their skills, education or training to upgrade their employment status. SI Ventura’s cash award will be a minimum of $1,500 and the winner is eligible for additional regional and international awards. Applications are available at Ventura College, from Sherri Tarpchinoff Bennett and online at www.soroptimistventura.org. The application deadline has been extended and must be received by January 15, 2017 at SI Ventura, P.O. Box 6133, Ventura, CA 93006 or by following the online instructions. Teen volunteers are encouraged to apply for the Violet Richardson Award which honors young women for their volunteer efforts in their school or community in such areas as fighting drugs, crime and violence, improving the environment, feeding those in need, working to end discrimination and poverty. It is awarded annually to a Ventura teen, ages 14-17 and her volunteer organization. The minimum award from SI Ventura is $1,500. Applications are available in the Counseling offices of Buena High School, Foothill Technological High School, El Camino High School, St. Bonaventure High School and Ventura High School. You may also download the application online at www.soroptimistventura.org. Applications must be returned by February 15, 2017 to SI Ventura, P.O. Box 6133, Ventura, CA 93006 or by following the online instructions. 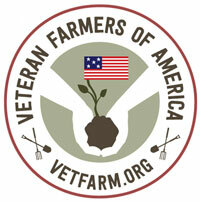 Veteran Farmers of America-Connecting Veterans to Agriculture – VFA’s mission is to connect veterans to agriculture as a viable occupation in order to assist with their successful reentry into civilian life. Mary Maranville, Founder and Executive Director, recognized a growing need in the regional industry for a technically-skilled, younger workforce while experiencing the food system through the agricultural relationships she cultivated while developing SEEAG. Farm partners conveyed concern over the aging workforce and the challenge of finding employees who were capable, dedicated and hard working, while also being skilled and potential leaders. VFA Co-Founder, USMC Veteran Lawrence Parkhill, was experiencing difficulty with finding direction in his life as a civilian after registering to fight for his country at 17 following 9/11. Parkhill served 5 years in the Marines, including 3 tours in Afghanistan. After transitioning, he took advantage of his GI Bill and enrolled in courses, but had no idea what occupation to pursue. Parkhill knew he was just one of many who were struggling with reentering civilian life and the civilian workforce for the first time as adults. Knowing Parkhill’s service experience and his need to find employment, Maranville connected him with a variety regional farms, ranging from small organic farms to the largest lemon producer in the country, so that he could experience agriculture as a possible vocation. These internships were impactful and instructive, and also served to enlighten the farms to a highly-employable population demographic. The success of the internships lead to the founding of VFA on July 4th, 2013 in order to link two community needs, and to further SEEAG’s mission. Ultimately, Parkhill became the first VFA success story, as he found employment at a major agricultural producer who partners with VFA today. While Maranville oversees VFA, Program Coordinator Julie Sardonia executes program implementation and development. Sardonia is a certified therapist, and is the Founder of Reins of H.O.P.E., a nonprofit serving active duty military, veterans, and their families utilizing Equine Assisted Psychotherapy and Learning. She combines her therapy background and experience with veterans in order to realize program outcomes and goals. VFA connects veterans to agriculture as a viable occupation in order to assist with their successful reentry into civilian life. VFA does this through paid vocational internships and advisement programs at various local agricultural facilities throughout Ventura County. This 80-hour internship offers veterans the opportunity to explore agriculture as an optional immediate vocation or as a specialty to pursue in higher education. In its 3 years of operation, VFA has already successfully enrolled 13 veterans in internships and placed 8 in jobs. Many veterans currently enrolled in local colleges also express interest in the program as a way to determine whether agriculture is a career pathway they wish to apply their GI Bill to pursue. The program also educates regional agriculture employers about veteran employment and its many benefits. The program is open to all veterans from all branches of the military. The majority of participants are Post-9/11 veterans, with some who served in the Gulf War. VFA welcomes veterans with a variety of physical and mental challenges, and pairs participants with internships and eventual placements that are conducive to their needs. The program and internships are offered within Ventura County, however veterans from throughout the nation have participated in the program. The veterans served by VFA face a variety of challenges, particularly those recently separated from service. They are used to working in physical conditions, in close teams, and with a clear purpose to their work; which rarely occurs in civilian life. This sense of pride is lost, which can make facing civilian work discouraging and un-motivating. Veterans often struggle with mental and physical challenges, which they do not look forward to discussing with their employer and coworkers. They may need accommodations to their work schedule, demands, and conditions. These conflicting variables and can lead to unemployment, as veterans are challenged to find employers who understand these difficulties, don’t stigmatize PTSD, and don’t confuse them with a lack of work ethic. This can further contribute to existing mental health difficulties, thus exacerbating the initial challenge. The agricultural industry is poised to accommodate many of the employability challenges veterans face, as it offers unique flexibility and a workplace that is devoted to the higher purpose of feeding America. Furthermore, the hands-on experience of farming helps to decrease,and potentially alleviate, some of veterans’ mental health issues. Being outdoors and in touch with the soil is restorative. If you are interested in attending this meeting please call Sandy Masiel at 805-278-3607 to RSVP by Monday, September 26. The cost is $15. Fidelity Ballmer graduated from Foothill Technology High School as the Class of 2016 Valedictorian. Throughout high school, Fidelity served women and girls through founding and leading a Girl Up club at Foothill. Girl Up, a campaign of the United Nations, works to prioritize the health, safety, leadership and education of girls in developing countries. Fidelity’s club raised awareness and funds through campaigns, movie screenings, fundraisers; advocacy with members of Congress; guest speakers; and initiating a campus conversation on women’s empowerment. Don’t miss out on meeting our Violet Richardson Award winner, Fidelity Ballmer and hearing her speak on the Girl Up campaign. If you are interested in attending this meeting please call Sandy Masiel at 805-278-3607 to RSVP by Monday, August 22. The cost is $15. (L to R) Sherri Tarpchinoff Bennett, President Elect; Trevor Summerlin, 1 year Director; Kellye Edwards Patterson, Recording Secretary; Shirley Lorraine, Vice President; Ann Hewitt, President; Kay Armstrong, Corresponding Secretary; Pamela Pecarich, Treasurer; Cindy Daly, 1 year Director. Missing – Cyndi Damron, 2 Year Director and Sandra Masiel, 2 Year Director. The installation of the new Officers and Directors was conducted by Sherry Cash, District 1 Director of the Camino Real Region of Soroptimist International. Officers and Directors include: Ann Hewitt as President, Sherri Tarpchinoff Bennett as President Elect, Shirley Lorraine as Vice President, and Kellye Patterson as Recording Secretary, Kay Armstrong as Corresponding Secretary, Pam Pecarich as Treasurer, Cyndi Damron and Sandra Masiel as Two-Year Directors, Cindy Daly and Trevor Summerlin as One-Year Directors – all of Ventura. Soroptimist International is a part of the world’s largest classified service organization for executive and professional women. Headquartered in Philadelphia, Pennsylvania, SI has more than 100,000 members in 1,500 clubs in 21 countries. In addition to supporting international projects, Soroptimist clubs accomplish their service goals based on individual community needs. The mission of the Soroptimist Club is to improve the lives of women and girls in their community and through out the world. For more information about Soroptimist of Ventura go to www.soroptimistventura.org. To find out how you can become a member, please call Sandra Masiel at (805) 278-3607 or email siventura@soroptimist.net. Long-time members from SI Ventura were honored at the 85th Anniversary/Scholarship Awards Celebration by President Kay Armstrong. (middle with microphone) Members include: (L to R) Dorothy Prairie, Donna Nelson, Sandy Masiel, Garnet Carroll, Dolores Taylor and Arlene Briggle. Not shown are Dixie Adeniran, Liz Heaton Brown and Lynn Jacobs. Ventura, CA- Soroptimist International (SI) of Ventura, California, a local service club for business and professional women with the goal of making a difference in the lives of women and girls, celebrated their 85th anniversary, honored longtime members and announced this year’s scholarship award winners at a luncheon on April 16, 2016, attended by 84 members and guests. Its members raise funds throughout the year to provide two awards each spring and to provide additional grants to local community organizations serving women and girls. This year’s funds were raised through a direct mail campaign, a silent auction at the event and various restaurant/local business fundraisers. At the event we honored nine long-time members who have devoted thousands of hours of personal and professional time to our cause. Our longest serving member was with our club for almost 54 years. The members who have been with our club for over 30 years include: Dixie Adeniran (36 years), Arlene Briggle (35 years), Liz Heaton Brown (31 years), Garnet Carroll (54 years), Lynn Jacobs (35 years), Sandra Masiel (34 years), Donna Nelson (31 years), Dorothy Prairie (33 years) and Dolores Taylor (34 years). We thank them for their service and for helping to make the Ventura Soroptimist club what it is today. We also awarded our scholarships for 2016 at the luncheon. The Violet Richardson Award honors young women for their volunteer efforts in their school or community. It is awarded annually to a teen, ages 14-17, and her volunteer organization to recognize the inspiration and dedication it takes to be a volunteer making a difference in the lives of others. This year’s scholarship was awarded to Fidelity Ballmer who is a senior at Foothill Technology High School. Fidelity started the Girl Up club at Foothill. Girl Up, a campaign of the United Nations, works to prioritize the health, safety, leadership and education of girls in developing countries. Fidelity’s mother, Shelly Ballmer, and Linda Kapala, Counselor at Foothill, accepted the $1500 award which is shared between Fidelity and the Girl Up club at Foothill. The Woman’s Opportunity Award is dedicated to women who are heads of household and need to further their skills, education or training to upgrade their employment status. This year’s scholarship of $1,500 was awarded to Mary Kay Leon, a single mom of six children who is student and a business owner. Mary Kay wants to make a difference for families trapped by addiction and abuse. She is on track to obtain her AA and then wants to transfer to a University so she can work as an advocate within the court systems. A special thank you goes to Erik Nasarenko, Ventura City Mayor, Anna Gonzales, 2014 SIV Women’s Opportunity Award winner, our event sponsors, the businesses and individuals that donated items to our silent auction and all of the individuals that helped make our 85th anniversary celebration/scholarship awards event a success!